Guidelines and tips for selecting the right size and style of bedroom area rug whether you have a queen or king bed. A couple weeks ago, I opened up the Satori Facebook page for another round of reader questions. I’m always curious to see what decorating dilemmas are on your mind. As in the past, I won’t be able to answer all of the questions today, but will try my best to get to as many of them as possible in upcoming blog posts. Today, I’m focusing on the bedroom area rug. 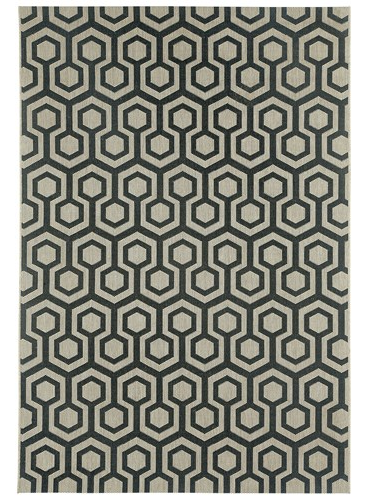 Bedroom Area Rug: Small or Large? Selecting the right area rug for your bedroom can broken down into 4 simple steps. Keep in mind these are general guidelines and there are always exceptions to every rule. Before you start shopping around for area rugs, it’s important to consider the size of your bedroom size of your bed, and where you want to place the rug. For a queen bed, a standard 8 x 10 rug works well. There are two placement options I prefer for a cohesive look. 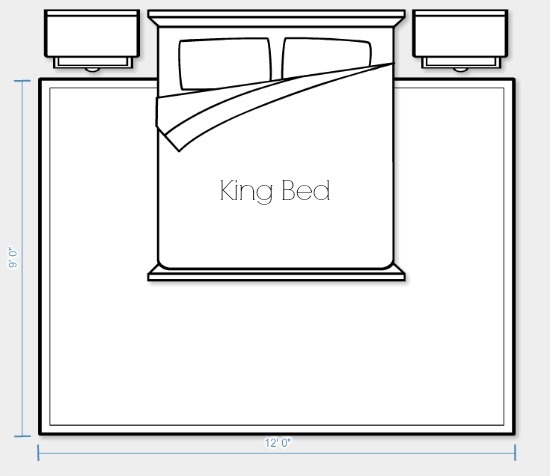 For a king bed, a standard 9 x 12 area rug is ideal. The first option is better for smaller bedrooms and option two allows for a bench or two stools to be placed at the end of the bed. It’s what I suggest most of the time. For a smaller bedroom, select a rug that gives you at least 12-16″ of exposed hardwood between the area rug and wall. It may be necessary to turn the rug lengthwise in certain situations. Make sure there is still ample rug on either side of the bed. 2) Select the colour and style. Take a look at what you currently have in your bedroom. Are there a lot of solid colours or neutrals? If so, a patterned rug or one with more colour will add the right amount of interest. If your bedroom already has a lot of colour and/or busy patterns, a solid colour area rug or a simple pattern, such as a stripe, will likely be a better fit. If you’re redecorating your entire bedroom or starting from scratch, let a new area rug be the inspiration. As well, think about your style preferences. 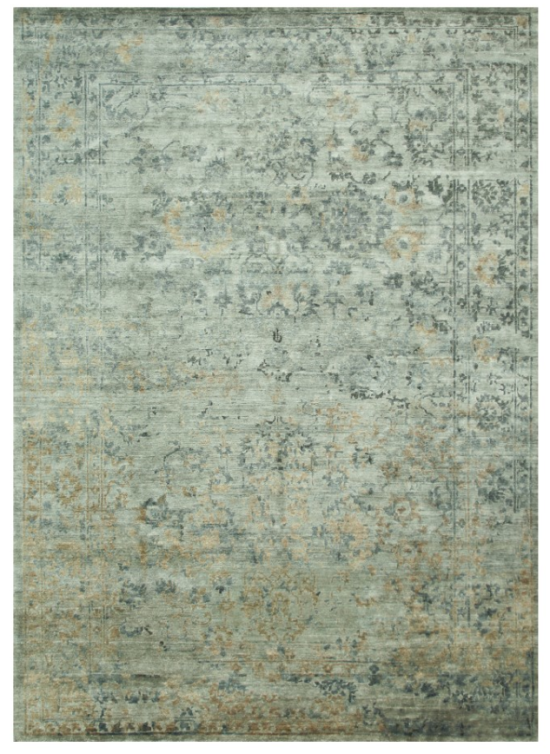 Are you drawn to traditional rugs, modern rugs or transitional rugs which are somewhere in between. 3) Select the material and weave. Area rugs are made with a variety of materials using various construction techniques. Each of these result in a different look and feel. If you’re looking for an element of luxury when you step out of your bed, then choose a rug with a higher pile. If you’re simply adding another layer of texture, think about basic sisal. Think about your lifestyle, such as whether or not you have pets or children who spend time in your bedroom. I once had a client who came home to nail polish spilled on her expensive new rug. Not a good scenario, but luckily most of it came out. I suggest spending less on trendy rugs and more on classic styles. Quite often you get what you pay for in terms of shedding and wear, but shop around just to be sure. Thanks for reaching out, Tia. To answer your question, I guess it’s dust for you! Be sure to keep us updated on your bedroom! If you have a decor, design or organizing question you could really use help with, follow the Satori Facebook Page to find out when the next open call for questions is. If it’s something you can’t wait on, be sure to check out our design services, including e-design options. For more decorating and organizing advice, check out the entire Reader Question Series. Great post Shauna! Lots of practical tips and I love the inspiration photos. Thanks Vanessa. Dreamy bedrooms, aren’t they? Thanks, Shauna!!! This is so helpful. 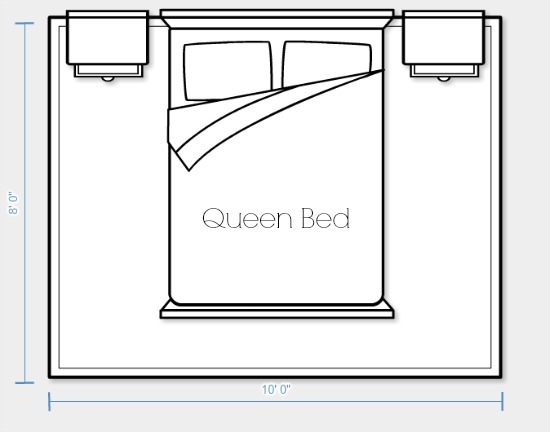 The master bedroom has been top of mind lately, so I’ll start incorporating a n 8’x10′ into my daydreaming! :) THANK YOU! Glad to help out, Tia. Can’t wait to see pics! I went through this dilemma about a year ago, and struggled between a traditional rug and a modern rug. I ended up going with the modern one, and still love it today – the only thing that would have been ideal is if I could have gotten it in one size larger. This one breaks the size rule, but I think because of the large pattern we’re just able to pull it off! Great post and tips, Shauna. Always a big decision. Glad you still like yours! Fabulous tips Shauna! I love all of your area rug examples too – swooning! Thanks Shauna! 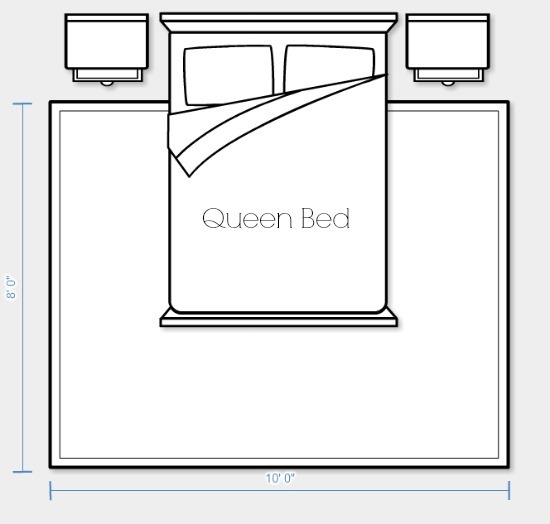 I am currently doing queen option #1 but would like to try moving the rug away from the wall like in option #2 – I just have to wait until hubby gets up and then I’m going to do it! Great question by the way and I loved all 3 rug choices you have here too – want!! Thanks for this great tutorial, Shauna! When I get around to redecorating my bedroom, an area rug is on the list. But I was never sure of size. 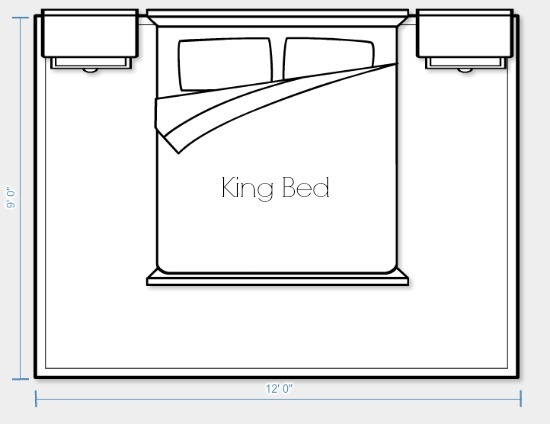 Now I know that I’ll need a 9 x 12 for my king sized bed! 9’x12′ that’s great information, pinning! I adore the colour of the walls in bedroom photo #2, do you happen to know what colour that is? I love the stripey rug and bench in the last room – what are your sources for those? 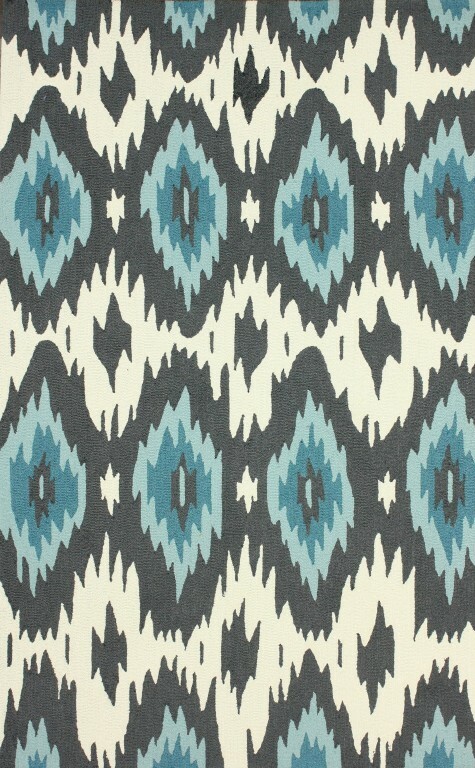 Hey Katie, Check out Rugs USA or rugsontime.ca – they seem to have a good selection of rugs. Watch HomeSense for benches! Fabulous tips for the bedroom. I hate when clients have rugs that look like tiny islands in the middle of their room. Loving your readers forum for questions….great idea!! Great tips Shauna – and I absolutely love your inspiration pics! I sure wish we had room for a bench at the end of a bed- such a great look!! I know our rug in our bedroom is too small but it is the one I have…for now. lol! Love the diagrams you included and the examples of different styles. I love to see some of the hardwood on the edges of the room to really define the bed area. Great info, Shauna! I agree the diagrams are great, I find it easier to understand. Fortunately, or unfortunately I have carpet in all the bedrooms. But thank you for the resource. It will come in handy in case we ever get to the renos we are dreaming about! Fingers crossed.